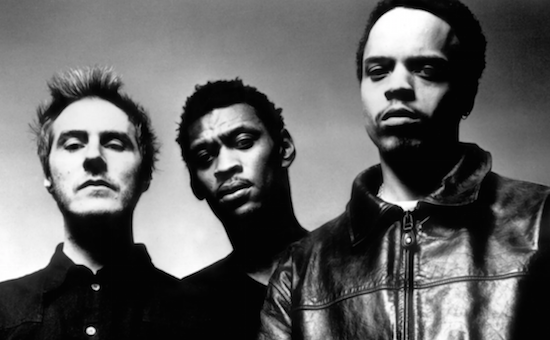 Massive Attack have released a new version of an app that allows users to remix their album Mezzanine. The Fantom 2.0 app "triggers new mix patches using the stems of classic tracks such as 'Teardrop', 'Angel' and 'Inertia Creeps' using iPhone sensor functions such as camera, microphone, acceleration and location for sampling, recording and unique playback," says a press release. The app has been co-created by Massive Attack's Robert Del Naja and gives readers the opportunity to make alternate versions of each track on the album. It comes 20 years on from the original release of the album. Massive Attack will celebrate the album next year by playing it in full on a tour which will see them joined by Liz Fraser. Last month, they reissued and remastered the album as part of a new box set release, while they also made it available in spray can format.